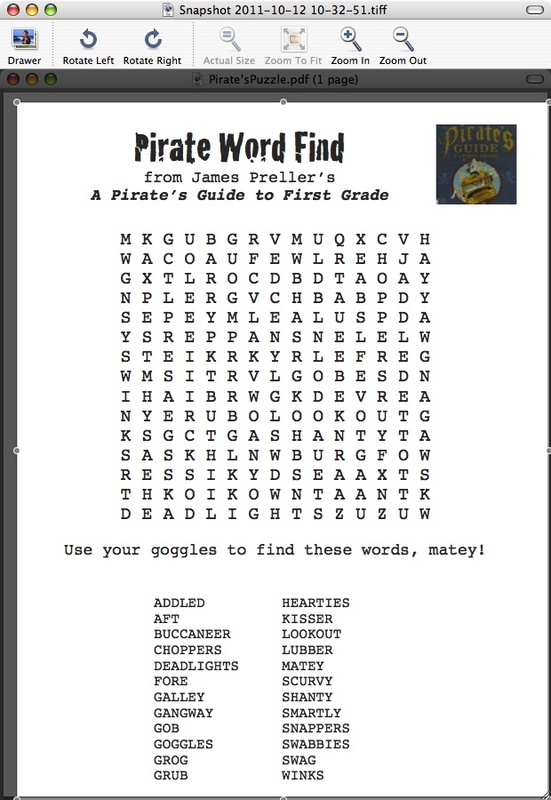 Arrrr: Photos, Videos, Fun Stuff from a School Visit! I’m very sorry that I cannot for the life of me remember which school gave me this wonderful material. 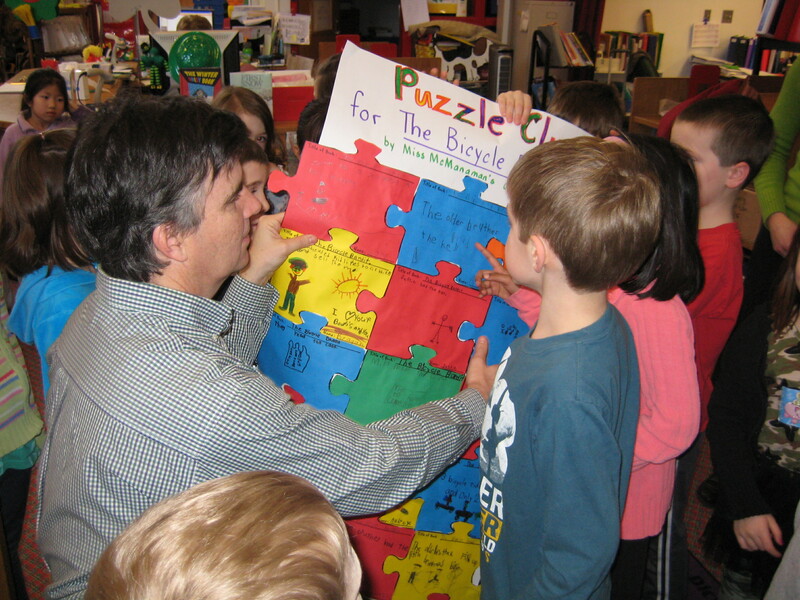 I know that Ms. Harmon, the media specialist, was the driving force behind much of it. Authors are so lucky when a school — and no, it’s never a school, the building, but a few dedicated professionals — supports an author visit by generating enthusiasm days and weeks ahead of schedule. Teaching is energy transferred. I truly believe that. Just as I’ve said before, that authors don’t do school visits . 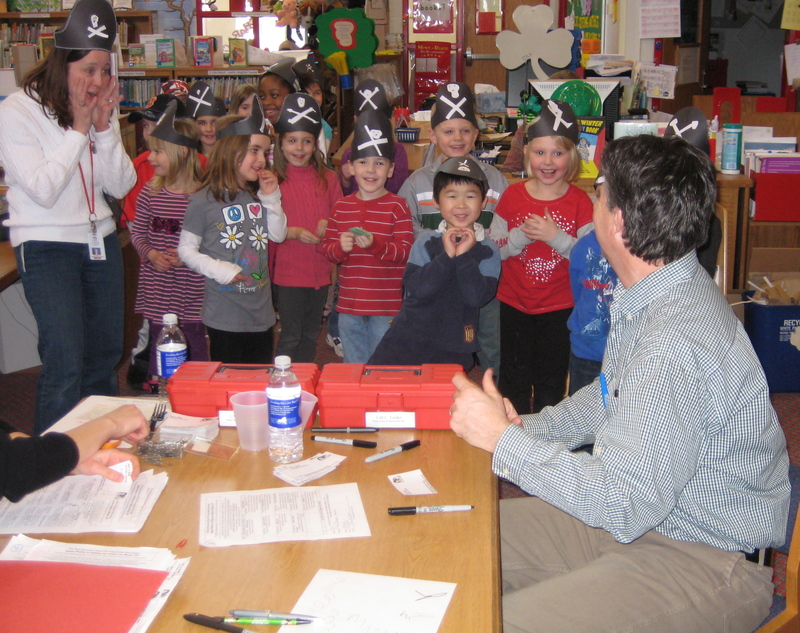 . . schools do author visits.